Only a couple years after Florida’s Supreme Court struck down damage caps in medical malpractice cases, legislators are ramping up enthusiasm to once again try to put in them in place. Why? Despite widespread health care fraud being to blame for exorbitant health care costs, legislators are still pointing the finger at medical malpractice lawsuits as the primary reason why health care costs are so high in the state. The damage caps set limits on how much in noneconomic damages an injured patient could recover if they were injured by medical malpractice. 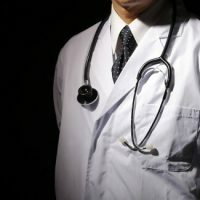 One of the more interesting factors that surround these cases is that similar caps are not in place for other types of torts—only for medical malpractice suits. Legislators, emboldened by a conservative majority Supreme Court, are hoping that this time the damage caps stick. Why Were Damage Caps Struck Down? There were two main reasons that damage caps were struck down in Florida. The first reason is that it violates equal protection. For instance, an individual who loses a finger in a surgical error has a permanent impairment that they deserve to be compensated for. However, an individual who loses a limb suffers an even greater injury. Further, an individual who rendered wheelchair-bound suffers a greater injury still and a person who is no longer able to use their arms or their legs suffers an even greater one. Setting a cap on noneconomic damages did not allow those with the most severe injuries compensation commensurate with the degree of their injuries. The other reason is that the court claimed that there was no evidence that medical malpractice lawsuits were causing medical costs to skyrocket during that period. This seems true in light of 20 years under the legislation not causing medical costs to go down. Nonetheless, other courts, such as those in Wisconsin, that are also fighting damage cap legislation have noted that it is not the place of the Supreme Court to rule on the factual basis on which a piece of legislation is passed. How Can Damage Cap Be Constitutional? The question of their constitutionality, regardless of whether or not the logic behind the legislation is valid, rests on the question of equal protection. Some states have set damage caps on certain kinds of medical malpractice lawsuits while not capping damages on cases of permanent impairment, “catastrophic” injury or wrongful death. This, in theory, would allow those who have suffered irreparable harm due to medical malpractice to be able to recoup an indeterminate uncapped amount of noneconomic damages. The Palmer Law Firm in Tampa represents injured patients in medical torts. Contact our office for a free case evaluation.